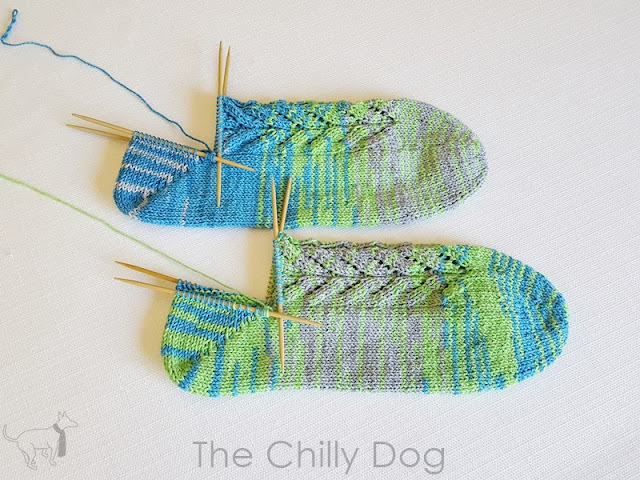 This lesson is the fifth in the Whale Done Socks skill building KAL and we will be finishing the second half of the shadow wrapped heel. If you have already knit the first half of your sock heel, you are probably starting to see why this is my favorite heel technique. It's so quick and easy! The second half of the heel is just as nice. Remember, the first four rows (repeated a few times) were worked in the previous lesson. Also, tw st stands for twin stitch and tr st stands for triplet stitch. Row 5 (RS): K to first tw st, k both strands of the tw st together, tr st in next tw st, turn. Row 6 (WS): P to first tw st, p both strands of the tw st together, tr st in next tw st, turn. Row 7: K to tr st, k all strands of tr st together, tr st in next tw st, turn. Row 8: P to tr st, p all strands of tr st together, tr st in next tw st, turn. Repeat Row 7-8 until one tr st remains on each side of the heel. In the next lesson I'll show you How to Work the Leg of your socks. 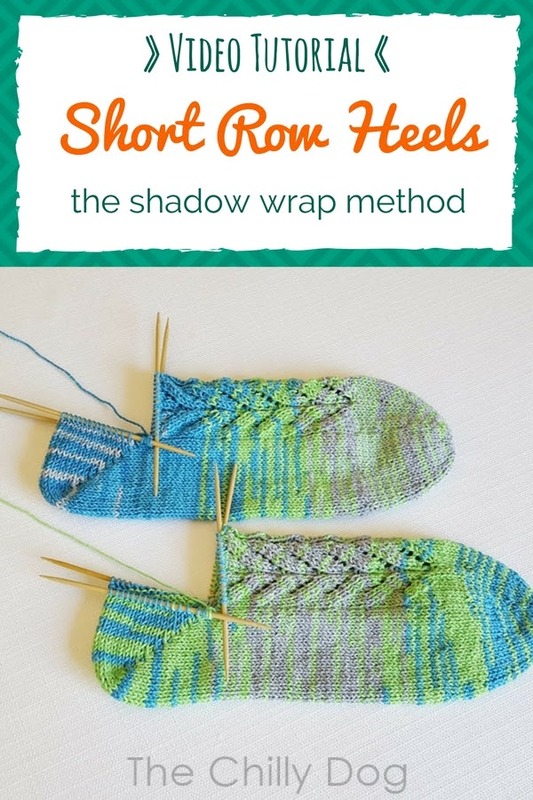 Lean how to knit the second half of a shadow wrapped short row sock heel.